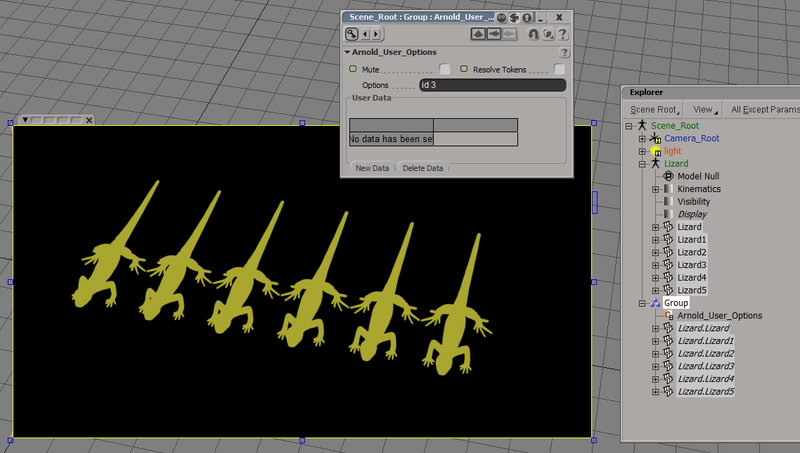 Arnold shapes have an id parameter that you can use to set up custom ID AOVs. For example, you can Object ID color mode of the Utility shader to generate an ID AOV. MtoA doesn’t automatically generate IDs, so you need to use the User Options parameter on the shapes to assign IDs. If you want to give a group of polygon meshes the same ID, so that they all get the same Object ID color, then you can use override sets. 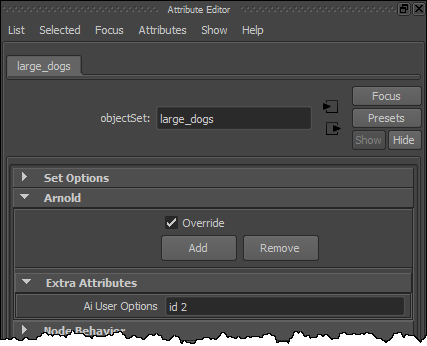 In Softimage, SItoA does generate IDs, and you can override them using groups and a branch-applied Arnold User Options property. This entry was posted in Maya, MTOA, Tips and tagged ArnoldRenderer, IDs, Utility by xsisupport. Bookmark the permalink.